1956 Ferrari 250 GT LWB Berlinetta "Tour de France"
London, England, April 29, 2009Ferrari aficionados from around the world are set to descend on Maranello, Italy next month for the third annual Ferrari Leggenda e Passione event, presented by RM Auctions, in association with Sotheby’s. With an average estimate equaling €1 million, this year’s offering of 34 historic Ferraris (all certified by Ferrari Classiche) and three magnificent Maseratis is poised to achieve the highest average sale price for a single-day classic motor car auction. The Ferrari Leggenda e Passione event is recognized globally as the premier venue for collectors to acquire the world’s finest historic Ferraris. Last year’s headline-grabbing event entered the history books when a 1961 Ferrari 250 GT California Spider, formerly owned by actor James Coburn, sold for €7,040,000, setting a new world record for the highest price ever paid for a classic motor car at auction. Despite the current economic climate, Max Girardo, Managing Director of RM Europe indicates the collector car market remains stable for extraordinary and rare examples, with recent RM sales achieving solid results and attracting record attendance levels as discerning collectors continue to seek out ‘alternative’ investments. “Anticipation is certainly mounting for our Maranello auction and we have received tremendous early interest with advance bidder registrations received from all over the world, including across Europe, the UK, North America and even as far afield as the UAE, Saudi Arabia and Japan ,” says Girardo. “Great Ferraris are continuing to achieve great prices at auction,” he adds. “Owning a significant Ferrari is much like owning an important piece of art – with the added enjoyment of being able to drive it”. Particularly notable consignments include: the legendary 1957 Ferrari 250 Testa Rossa chassis no. 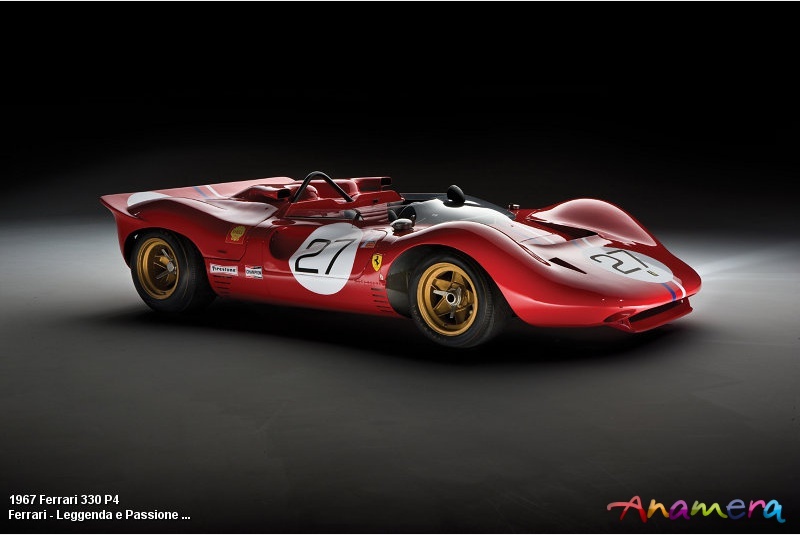 0714/TR**, one of the most historically significant and valuable Ferrari racing cars ever offered at auction and expected to set a new auction world record; the ultra-rare, race-winning 1967 Ferrari 330 P4 chassis no. 0858**, one of only three P4s ever made; a highly desirable 1962 Ferrari 250 GT California Spider (SWB) (estimate €4,300,000 – €5,500,000); and a stunning 1959 Ferrari 250 GT (SWB) Berlinetta Speciale Bertone (estimate €2,200,000 – €2,900,000), the first of just two short-wheelbase 250 GTs with unique Bertone coachwork. Additionally, an impressive series of eight coachbuilt Ferraris from the esteemed private collection of Dutch collector, Mr. Edgar Schermerhorn represent a combined estimate exceeding €2.5 million. In total, this event’s valuable lineup of extraordinary road and race cars spans numerous decades of production - the oldest car on offer, in fact, is a 1949 Ferrari 166 Inter Coupé (estimate €350,000 – €425,000), whilst the newest is a 2008 Maserati MC 12 Corsa (estimate €775,000 - €950,000) with factory mileage only. As evidence that they represent some of the best examples available to the international market, consignments have been sourced from all corners of the globe – 10 countries in total – ranging from Italy, USA, UK, Switzerland, Japan, Germany, Netherlands, Australia and France to Thailand. Ferrari Leggenda e Passione will be held Sunday, May 17 at Ferrari S.p.A., Pista di Fiorano in Maranello, Italy. Interested bidders will have the opportunity to preview the cars on May 15 and 16 prior to all the auction action getting underway from 1:00 p.m. (GMT + 2:00) on May 17. Admission to the event is available by purchasing a catalogue for €70 and admits two. The auction action will also stream live at www.rmauctions.com, providing real-time coverage of the event. For full event information or to view a complete list of the cars and memorabilia on offer, please visit www.rmauctions.com or call RM’s London Office on +44 (0) 20 7851 7070.